Phnom Penh (FN), Jan. 19 - At the invitation of H.E. Ms. Federica Mogherini, High Representative of the Union for Foreign Affairs and Security Policy​ and Vice-President of the European Commission, Cambodian Minister of Foreign Affairs and International Cooperation Prak Sokhonn will lead a delegation to attend the 22nd ASEAN-EU Ministerial Meeting (AEMM) to be held in Brussels, Belgium on 21 January 2019, according to the ministry’s press release dated Thursday. ​“During his stay in Brussels, Minister Sokhonn is scheduled to have a separate bilateral meeting with H.E. Mr. Didier Reynders, Deputy Prime Minister, Minister of Foreign Affairs and European Affairs of Belgium, the Hon. Cecilia Malmstrom, EU Trade Commissioner and other heads of delegation,” the ministry added. 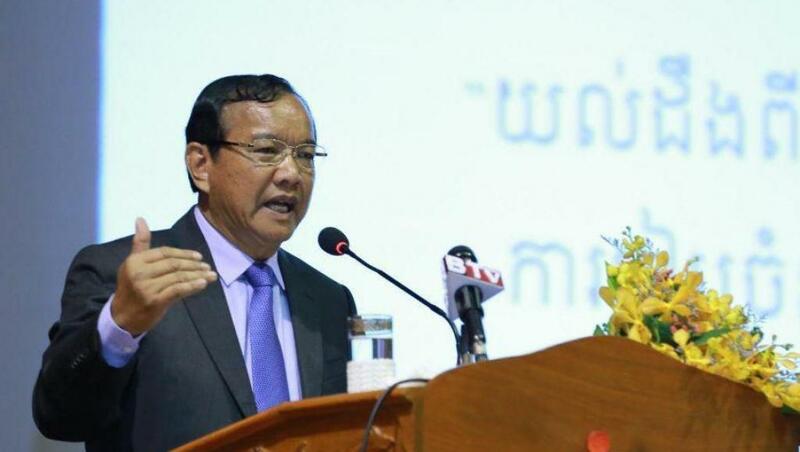 According to the ministry’s spokesman Ket Sophann on Saturday, Cambodia will clarify to EU the kingdom’s measures to improve political space and press freedom and unions. The EU has begun to impose import taxes on rice of Cambodia and Myanmar, which are exported to 28 EU Member States, for a period of three years from 18 January 2019-2021. The tax will cost Cambodia 175 euros per ton in the first year, 150 euros the second year, and 125 euros the third year. In 2018, Cambodia exported nearly 300,000 tons of rice to Europe, an equivalent to 43% of the total export volume of 620,000 ton. Commerce experts claimed that Cambodia is likely to lose $50 million per annum. The Ministry of Commerce said yesterday that the EU's decision on 17 January 2019 did not fully reflect international trade rules, technical standards, truth, and good relations and cooperation between Cambodia and EU. EU’s decision will murder Cambodian farmers and families in debt of credit institutions. The EU’s safeguard measure on Indica Rice originating from Cambodia will deprive Cambodian farmers' income, forcing them to commit suicide as a way to end the debt with credit institutions who have given them loans to purchase agricultural inputs.